We spend a lot of time making and analyzing graphs. 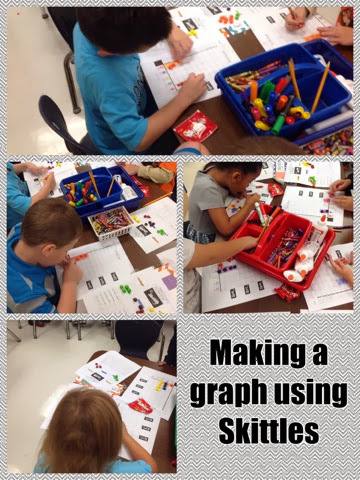 We have a weekly graph we do each week and we make graphs during our math time. This week we collected data about skittles. Each student got a small bag of skittles and they had to sort their skittles by color and then create a graph. After we made our graphs we had a lot of questions to help us analyze our graphs. Of course, the fun part was being able to eat our skittles. We spent a lot of time learning about the different states of matter. 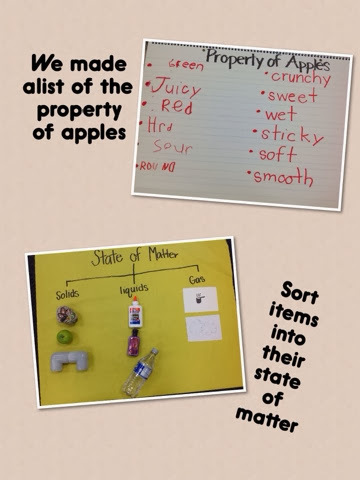 We discussed properties of each state and sorted objects by their state of matter. We learned about added cold to a liquid will make it freeze. And we learned how adding a heat to a solid will make it become a liquid. We made ice cubes and then took the ice cubes outside and melted them. The most fun we had was working with out third grade book buddies to make ice cream floats. I made a Haiku Deck presentation that we walked through to review the concepts of a solid, liquid and a gas. Then we had fun and got to make root beer floats. 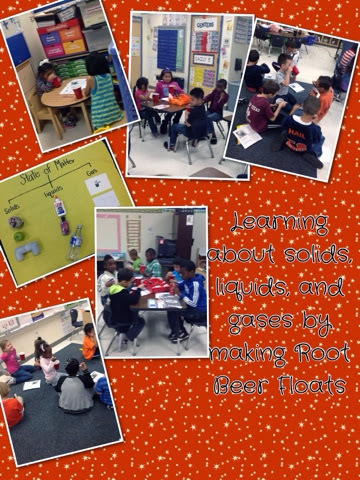 The students discussed with their buddy which part was the solid, liquid and gas. Then they got to enjoy their float! We recently finished a big unit on states of matter and their properties. We looked at apples and made a list of properties that described the apples. Then we got to taste the different color apples and we added more words to our list after tasting. We knew by looking at the apple it was round and smooth on the outside. When we got to taste it we learned that apples can we juicy too. We also got to taste apples in its different states. We tasted a liquid and solid apple. We discussed what a gas is but did not taste anything for that. 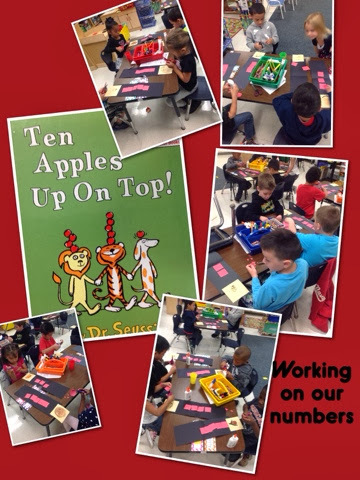 What Apple unit would not be complete without reading the book Ten Apples Up on Top by Dr. Seuss? The kids loved the book and enjoyed making their own pictures of them with apples on top of their head. 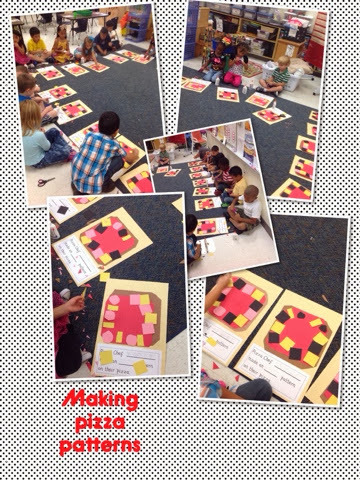 We spent just a short week learning about and creating patterns. We used our cubes to make patterns. Then we documented the different patterns in our math journals. After we had a good understanding of how to build and create patterns we got to make caterpillar patterns and pizza patterns. Letter U week was filled with fun and exciting things. We were learning about the United States of Ameria and some important symbols we use. 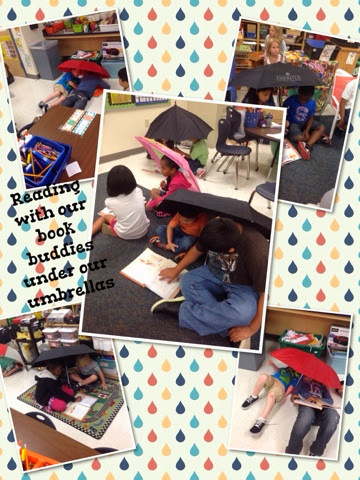 We had umbrella day, big underwear day, upside down down...oh my! Though out the whole week we learned a new symbol each day. We discussed the flag, bald eagle, Statue of Liberty, liberty bell, and the White House. 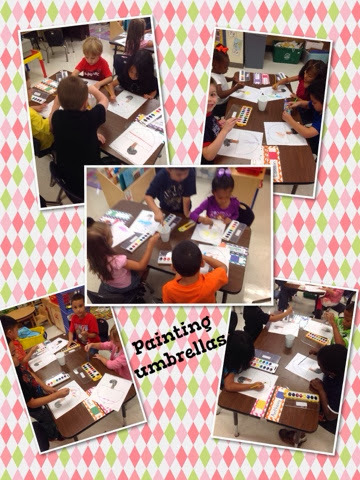 For umbrella day, we made umbrella patterns, read the book The Umbrella Queen, painted our own umbrellas and write descriptive sentences about them, and got to use them to eat under with our book buddies. 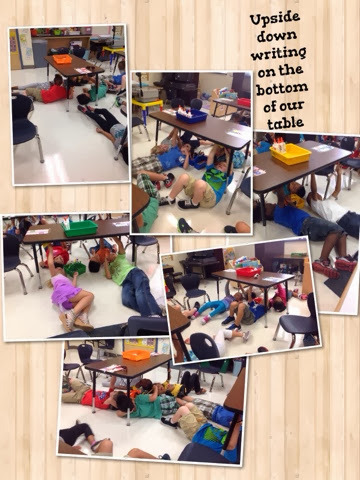 For upside down day we read e book George Upside Down. Then we got to practice drawing and writing upside down. After our fun time writing we made pineapple upside down cupcakes for us to snack on later. Don't you just love the letter U?! 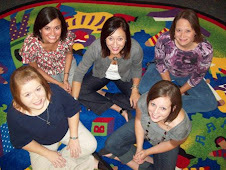 We are the kindergarten class at Moseley Elementary in Grand Prairie, Texas. I graduated from the University of North Texas in May 2007 with a degree in Interdisciplinary Studies, Early Childhood thru 4th grade. This is my sixth year teaching kindergarten. I am married to a wonderful guy, Cody, we have a son names Benjamin and a dog named Meg.